Luke is a professional close up magician living just outside Pembrokeshire. He can offer top quality magic for all occasions including weddings, civil partnerships, staff parties, Christmas parties, corporate events and many more events. Luke is a dynamic performer who has honed his skills performing across the United Kingdom and abroad. Magic performed in the hands is a unique experience, very different to watching it performed on television – no camera tricks, no editing, just baffling and entertaining magic. Pembrokeshire is a wonderful county, beautiful landscapes and picturesque wedding venues too. Luke has performed for hundreds of businesses and private clients in the area as well as performing his magic for Only Men Aloud on the first leg of their Christmas 2014 tour near Kilgetty. If you would like a quote or would like to discuss the planning of your event then please get in touch and Luke will be delighted to help. 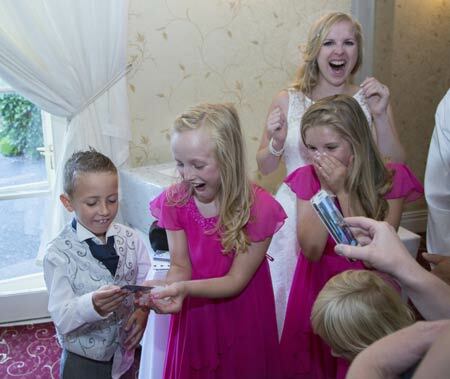 Booking a magician can be a bewildering task as many might only do this once in their lives. Luke has been performing magic professionally for over twenty years, he is local and has the highest recommendations from previous clients. 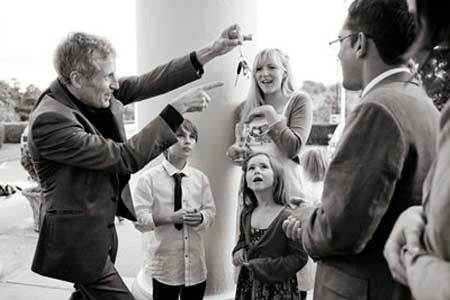 If you would like to hire a magician then either contact him through the website, phone 01267 223118 for a friendly chat or see him at a wedding fayre near you. These are a sample of the many venues that can be found in towns such as St. Clears, Newport, Fishgurad, Laugharne, Milford haven, Haverfordwest, Saundersfoot, Amroth, Tenby, Narberth and St. Brides.